It goes without saying that 2015 was a challenging year for Baltimore. TV news broadcasted violent images of the city as we worked through deep-seated community issues. But what wasn’t being shown to the entire nation were the positive strides local organizations, activists, and business owners have been taking to better this place we call home. Suffice to say, things are looking up for 2016. Not only were there some exciting new openings in the past six months, but national festivals, high-end restaurants, and innovative incubator concepts are currently giving Charm City residents reasons to brag a bit. Here are 13 reasons to visit Baltimore in 2016. 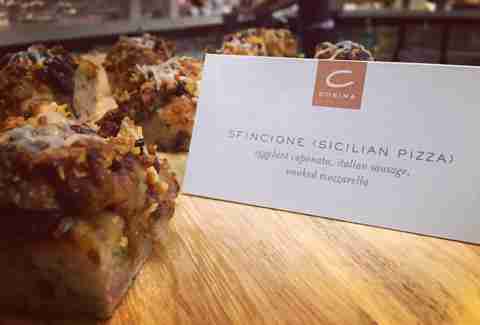 The food hall trend arrived in earnest this past October with the opening of Mt. Vernon Marketplace. The bare-bones industrial space (that once housed a famed Baltimore department store) is filled with food and drink concepts that haven’t yet found a permanent home. The traveling seafood cart The Local Oyster serves salty-sweet Skinny Dipper oysters, overflowing shrimp salad sandwiches, and zippy crab soup your grandma would make. 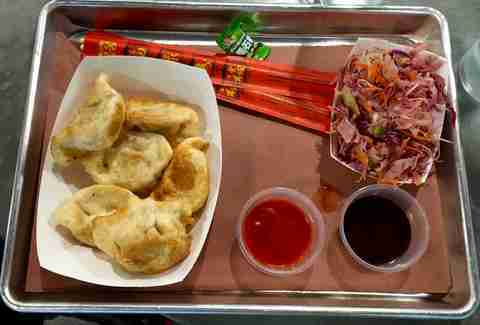 Pinch Dumplings, which debuted in DC farmers’ markets, serves unbelievably crispy fried pork dumplings, colorful Asian slaw, and salty boiled peanuts. There’s Cultured, an outpost of Hampden’s Corner Charcuterie Bar, with artistic meat-and-cheese plates and mouth-watering sandwiches. If you get thirsty, visit Taps Fill Station in the back with 10 rotating taps of beer, cider, mead, cold-brew coffee, wine, and even olive oil. Talk about a one-stop shop. Local diners have been raving about Bottega, a tiny, authentic Italian bistro in Station North, since its debut in 2013. Thankfully, owner Adrien Aeschliman is opening another restaurant just down the street, this time focusing on French cuisine. The eatery, called Colette, will open this month and boasts chef Stefano Porcile, who had previous stints at Woodberry Kitchen and Fork & Wrench. Think French delicacies like calamari salad, goat cheese fritters, fried artichokes, raclette (yes, scrapings of melted cheese), and other food inspired by Aeschliman’s three years living in Avignon. Fortunately for diners, Colette will be four times the size of baby Bottega and likely just as delicious. It sounds like a spring break destination, but 'Wet City' was actually Baltimore’s nickname during Prohibition, when the city sold alcohol illegally. Hell yeah. That rebellious spirit will be carried on when Wet City opens by MICA this spring. Helmed by two brothers, PJ, a graphic designer, and Josh Sullivan, a home-brewer, the idea is to have an incredibly experimental, beer-focused bar. Wet City will offer flights and half-pours of their 20 rotating drafts (some made in-house), and encourage customers to give feedback on what they’re drinking. 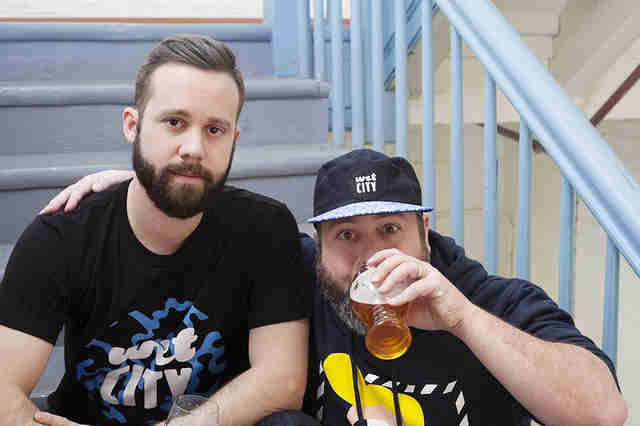 The Sullivan Bros. say they’re incredibly open to people’s new ideas, though you might want to give them the benefit of the doubt: Wet City’s beers have already taken top prizes at the Baltimore Craft Beer Festival and local home-brewing contest Mash Bash. Basically, these guys know what they’re doing. So yeah, everybody likes TED talks. 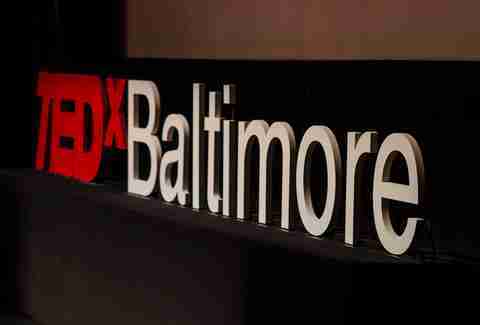 And Baltimore, despite its underdog status, has a TEDx Conference all its own, taking place on January 14th. Incredibly smart people -- we’re talking health commissioners, aerospace engineers, advisers to Hillary Clinton, and a man tasked to unite all of Baltimore (no pressure!) -- will be sharing their ideas on bettering the city and world. Plus, there’ll be free snacks, spoken-word performances, and throat singers. What more could you ask for when you're looking to get cultured? 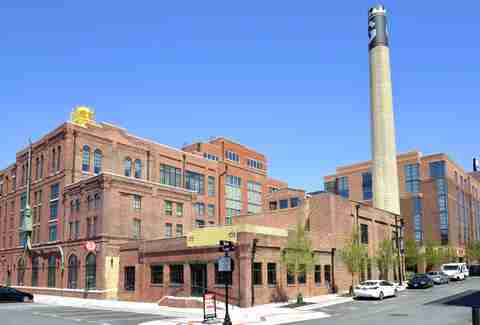 In one of the latest examples of renovation gone right, developers have transformed an old cotton mill into a mixed-use complex of apartments, offices, and the soon-to-be-opened Cosima. Headed by local cafe maven Donna Crivello, Cosima features a menu straight out of nonna’s recipe book: arancini (risotto balls), zeppoli (fried dough with ricotta and anchovies), porchetta (stuffed pork shoulder), polpetti (meatballs in ragu), and a variety of thick-crust, authentic Sicilian pizza. Not to mention the space -- filled with soaring high ceilings, reclaimed wood, and a huge brick oven -- boasts an outside patio overlooking the flowing Jones Falls stream. For a week in late March, practically the entire city of Baltimore will be glowing in neon. The inaugural festival, dubbed Light City Baltimore, will feature hundreds of cutting-edge art installations, performances, and musical acts, all free. Inspired by other light festivals around the world, the event aims to transform the look of the city’s epicenter of the Inner Harbor, but also commissions artists to create sculptures based on lesser-known neighborhoods, like Greater Mondawmin. Throughout the week, you can see art of every discipline imaginable, including a performance by Dan Deacon, synchronized swimming acts, stilt-walkers, light-up puppet shows, a rock opera ballet, spoken-word artists, drum lines, local troupes performing plays, and neon sculptures lighting up the night sky. Prepare for Baltimore to look like one big, trippy EDM festival. Typically, libraries and museums are places where we get shushed a lot. Not so this month, when two sophisticated institutions become rife with booze, food, and dancing. At least for a night. First up is Rye Rocks on January 16th at the Walters Art Museum. Fun fact: the museum’s founder, William Thompson Walters, initially made his fortune selling whiskey and used that money to buy fine art. This history will be celebrated with a party dedicated to the liquor -- nearly 30 distillers and bartenders will be serving up samples of rye and cocktails to guests in the Walters’ main hall. 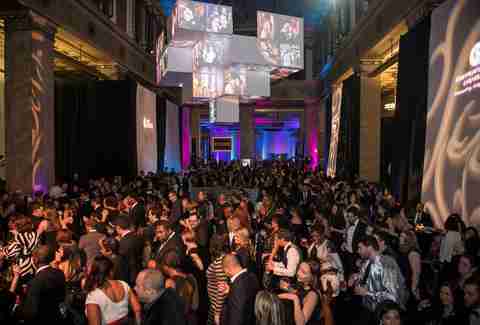 On January 20th, the main lobby of the city’s central branch of the Enoch Pratt Free Library will host the Shakespearean-themed Black & White Party. Aside from the requisite monochromatic attire, the party will have food and drinks from the city’s best restaurants, a DJ and dancing all night, a themed photo booth, and a chance (if you’re so inclined) to get frisky in the stacks like it’s high school all over again. Arguably one of the best pairings since the dawn of creation, sausage and beer are meant to be enjoyed together. The owners of Snake Hill, which opened in Highlandtown in November, thought so too, which is why the bar sells locally-made sausages, 12 rotating draft lines, and 50 bottled and canned beers. The meats, also available to-go, lean toward the adventurous, with everything from alligator andouille and rabbit rattlesnake to buffalo and duck with bacon. If you don’t want to go the wild animal route, there are also a number of vegan options. The space itself is filled with quirk and character: the bar top is made from 17,000 Scrabble tiles (try and spot the dirty words); there's an old fortune teller booth; and the beer menus are custom chalk-art. While popular neighborhoods continue to flourish in Baltimore, what has us even more excited are the unexpected places where eateries are popping up. Take Dovecote Cafe, which opened in Reservoir Hill at the end of 2015. Without much else within walking distance, Dovecote is like an oasis of natural light, vintage wallpaper, local art, and amazing pastries. 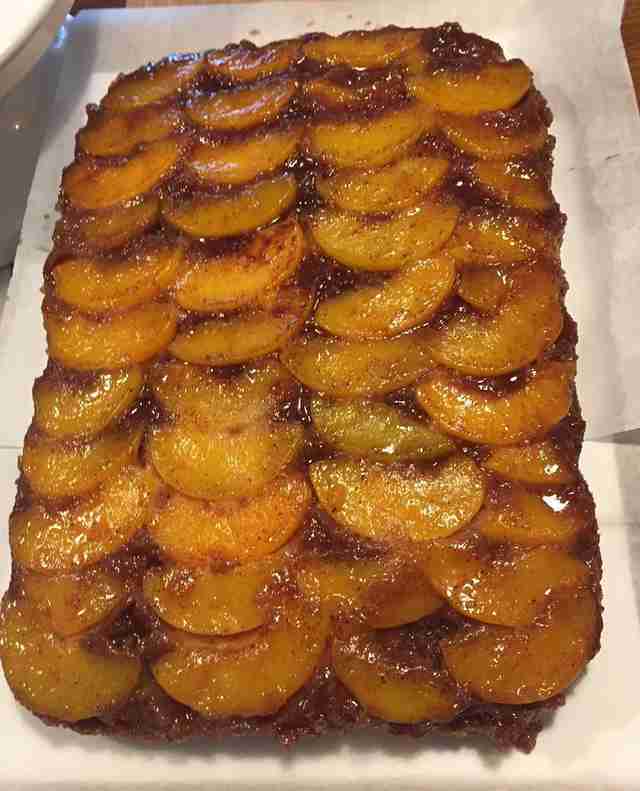 Indulge your sweet tooth with treats like peach-upside-down cake, gooey sticky buns, or corn muffins stuffed with raspberry jam. While you’re at it, peruse artwork on the walls or shop in the cafe’s mini produce section stocked with local goods, like W00T! Granola and Knits, Soy, & Metal Candles. Or simply find a spot in the sun, sip on micro-roasted coffee, and crack a good book. This is the kind of place you’ll want to stay a while. For a while now, lines have been wrapping around the corner in Annapolis so people can get a taste of Iron Rooster’s breakfast-all-day fare (including an enormous waffle burger). Well, Baltimore has been getting in on the fun ever since Iron Rooster opened a location in Canton in November. 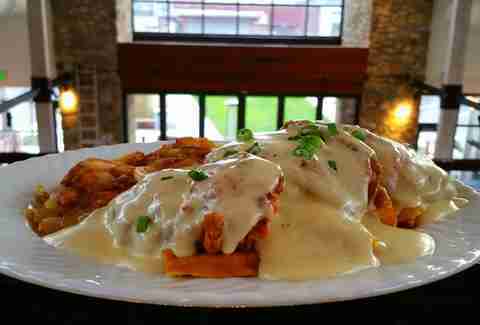 No matter what time of day, start your meal off with a well-spiced bloody mary (garnished with asparagus, no less) and flaky biscuits, and follow it up with the hearty chicken and waffles or beef tenderloin eggs Benedict with caramelized onions, crimini mushrooms, and fried leeks. If you show your server that you follow Iron Rooster on social media, you’ll get a Mason jar full of bacon brought to your table. Like stumbling upon your middle-school diary, this Stoop Storytelling show is sure to conjure up plenty of cringe-worthy moments. 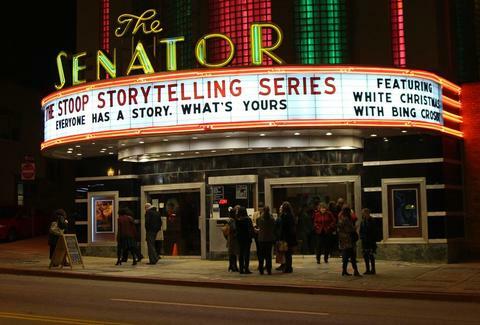 Now celebrating its 10th year in Baltimore, this speaker series bills seven people telling true, personal tales on a shared theme in front of a live audience. This particular show involves the re-telling of awkward, adolescent moments (we’ve all had plenty) in front of a packed crowd at the historic Senator Theatre. 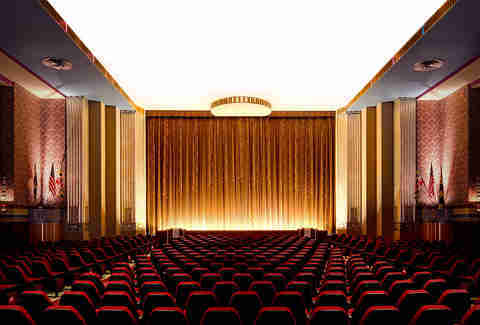 The theater’s large projection screen will have those prepubescent photos (replete with braces and acne scars) displayed to their fullest potential. Right up there with National Brewing Company (and its flagship Natty Boh), Gunther Brewing was making some of Baltimore’s favorite beer for 60 years. Now, its neighborhood, fittingly called Brewers Hill, is home to residences, modern office space (including AOL), and some cutting-edge restaurants. The latest to join the pack, Gunter and Co., will pay homage to the building's former tenant when it opens in March. Asides from mouthwatering menu items like pan-roasted oysters, salsa verde rockfish, and a Thai hot pot, Gunther will be kegging cocktails. While there are no specific recipes yet, the bar masters have said that, out of the three lines of kegged cocktails, there will always be a tequila option. We wholeheartedly approve this message. The term “incubator” has become as ubiquitous as “farm-to-table” these days, but we're actually on board with this one. In the fall of 2016, a 50,000sqft warehouse in Remington will host 10 micro-restaurants, where chefs can test out their ideas. 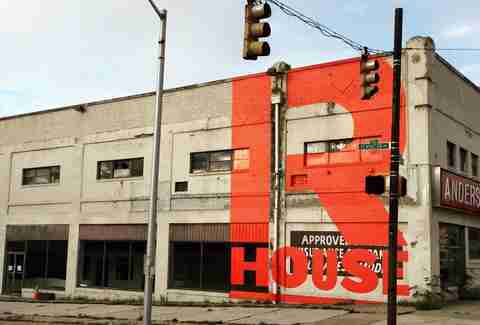 R. House will essentially be a playground for chefs who want to start restaurants. They'll be able to lease ready-made kitchen space, while the developers handle other tasks, like hiring waitstaff, security, and washing dishes. Chefs can then focus on troubleshooting their concepts, whether it’s tweaking menu items or toying with seating arrangements. And the space -- with 12,000sqft of wide open seating and 15ft tall windows with roll-up garage doors -- will be the perfect place to experiment. Jess Mayhugh is the digital editor at Baltimore magazine and is her best self when sitting at The Local Oyster counter. Follow her for all things Baltimore and boozy @jessmayhugh.